About | Computer Arts, Inc.
Computer Arts, Inc. (CAI) is a corporation specializing in custom software development, IT technology consulting services and extensive hardware and software support services. CAI was originally founded in 1983 for the purpose of providing quality software and support at competitive prices to local government agencies. 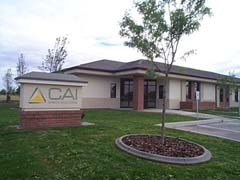 Today, with our headquarters in Meridian Idaho and support offices in Idaho Falls, Pocatello, and Sandpoint Idaho, we provide computer software and support to counties, cities and Law Enforcement agencies in the Northwest. CAI also offers IT technology consulting and support services to businesses in the private sector.